The Edward R. Murrow College of Communication can count Alexis Tan among the few who have served it and Washington State University for more than three decades. He was recruited to be department of communication chairman in 1986 and said he was drawn to WSU after learning about the long and storied history of the communication department. 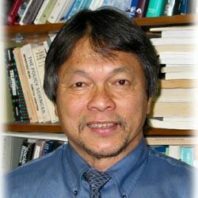 Tan earned his bachelor’s degree from the University of the Philippines and his master’s degree from the University of Wisconsin-Madison, both in agricultural journalism, and he earned his doctorate there in mass communication. Prior to his arrival at WSU, Tan was a professor and the director of graduate studies in mass communication at Texas Tech University. After the WSU department of communication made the transition into the Edward R. Murrow School of Communication, Tan was its first director, a position he held until 2006. The following year, he was appointed Faculty Diversity Fellow for the Office of the Provost and the Division of Student Affairs, Equity and Diversity. He rejoined the Murrow College fulltime in 2015 and in 2016 became special adviser for research and graduate programs. Tan said he enjoys the opportunity to mentor graduate students and young faculty because of the energy and innovative ideas they bring to the College. Tan’s research and teaching focuses are on communication interventions to reduce and control prejudices. He teaches Stereotypes in the Media at the undergraduate level and Quantitative Research Methods at the graduate level. His ultimate goal, he said, is to elevate the research and graduate programs to be top 10 in the nation, matching the prestige surrounding the undergraduate programs in the Murrow College. When Tan is not on campus, he enjoys practicing martial arts and playing tennis during the warm months. In the winter, he enjoys skiing. Tan is also an avid traveler, having visited more than 20 countries.